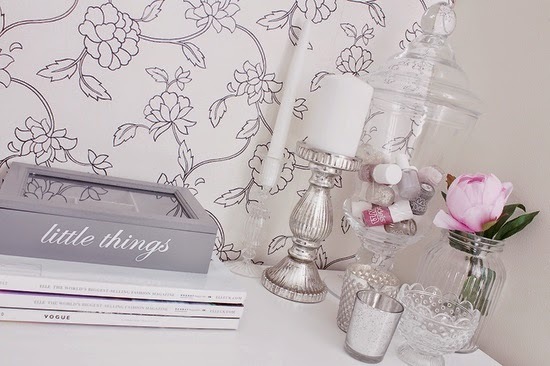 Floral Danielle: Pinspiration #1 - Bedroom decor inspiration! This is a bit of a different post to what I usually post. I'm constantly moving room, between living at home with my Dad during the holidays, to living in my university room during term times, and then also visiting my boyfriend and mum at their houses when I can! I constantly pin photos onto my Pinterest boards for decoration inspiration but I can't wait to move out properly with my boyfriend and be able to decorate my whole house exactly as I wish! Image sources: Pinterest and Jazzabelle's Diary blog. 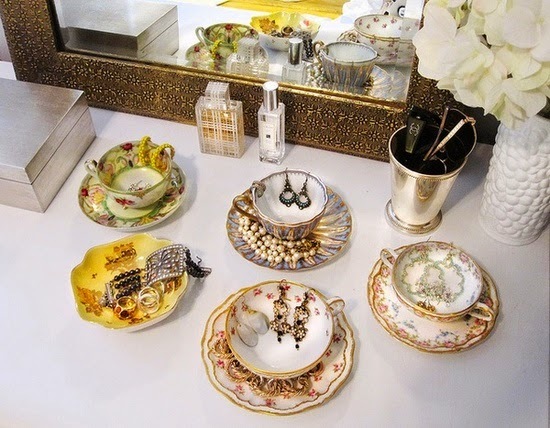 I absolutely love the idea of having a really white room with white accessories and a few splashes of colour. My bedroom at home at the moment is black, with black vintage patterned covers and black floral wallpaper, which is gorgeous but makes the room look so small! 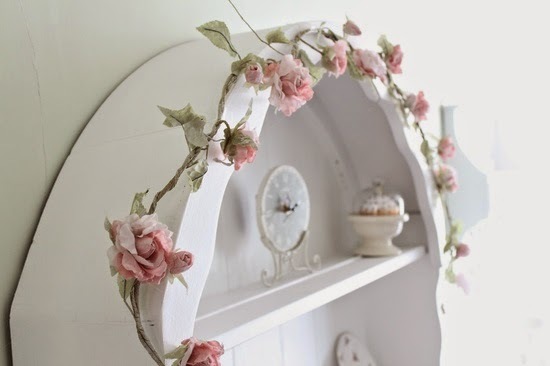 I love this light pink floral string of flowers which could be tied around a bedframe, or around the edge of a mirror. Image source: A sensible heart blog. Recently Abby has been uploading lots of blog posts about her bedroom as it's being redecorated, and every single one makes me so jealous as she has the most beautiful bedroom and wardrobe! This image in particular caught my eye though as she had placed her nail varnishes into a glass pot and I thought it looked so lovely! Did you like this post? Would you like to see more? Yeah it would be a really fun job! I really love that framed outfit haha! I sometimes hang pretty dresses up around my room like on the wardrobe door. Some clothes are too pretty to be hidden away! I'm totally in the same position as you in regards to living situations. I'm constantly moving from my student house to my boyfriend's house to my mum's house! Living out of a suitcase is such a pain! I'm definitely gonna invest in a big frame to do this! Yes do it I hope so, if we can afford to! Yes definitely during the Summer we'll meet up! Great idea with the teacups. I love it! And you can find some really cheap cute ones around! 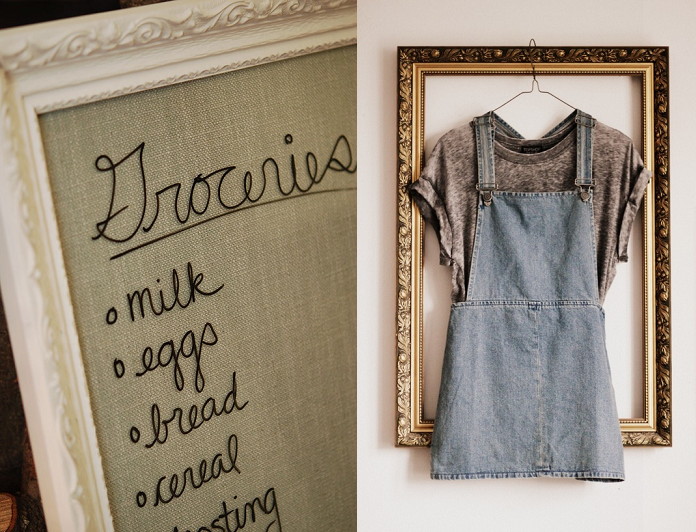 Love the idea of the empty frame with the outfit hanging over it. So cute! Interior design is such a secret vice of mine! I'll post up some snaps of my bedroom back in Sheffield when I return! Also you've been mentioned on my blog! Ooh thank you :) I'll check it out! I like posts like these, I don't see many around on the blogosphere. It's very inspirational. Gives me a good kick up the bum to sort my room out! Yes to more posts like these! Yes I love this sort of post, will definitely be doing more! I absolutely love the teacups, SO pretty! Yes they're adorable aren't they!? very sweet and beautiful bedroom inspirations ! This is so cute - great bedroom inspiration! I love this post, it's fab! I love all things interior so it's really refreshing to see a blog post about it, I hope you do another one soon as It's really inspired me to up my game with my bedroom!! This decoration is really awesome. Perfect choice of furniture and accessories and they are put in the right place.